2) all agreements concerning the supply of individual Daphne’s Diary magazines and items; concluded via the website www.daphnesdiary.com (hereinafter: the ‘Website’). 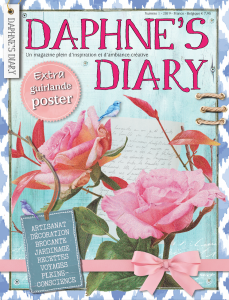 Orders made via the Website are processed by Daphne’s Diary, Hilversum, The Netherlands. 1.2 By concluding an agreement with Daphne’s Diary, the customer is deemed to accept these Terms and Conditions. 1.3 Daphne’s Diary warrants that the items supplied are in accordance with the agreement and meet the specifications stated in the offer. 1.6 Daphne’s Diary reserves the right to add changes to these Terms and Conditions of Supply, so please check these terms and conditions regularly. 1.2 If Daphne’s Diary accepts an Order, Daphne’s Diary will send the customer confirmation using the email address provided by the customer on the order form. 1.3 Daphne’s Diary has the right to refuse Orders without stating reasons. 2.1 The prices and any delivery or other costs in respect of the magazines and items offered on the Website are made known by Daphne’s Diary on the Website or through another means of communication. 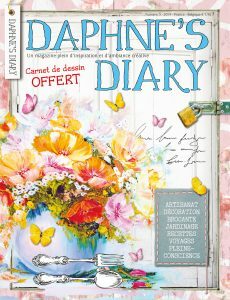 2.3 All prices and stated costs charged by Daphne’s Diary are in euros and include VAT. 2.4 Daphne’s Diary reserves the right at all times to unilaterally terminate, interrupt or change any promotional offer without prior notice and/or to change the terms and conditions and/or the products/prices of any offer if the circumstances so require, without incurring any obligation vis-à-vis the customer to pay damages. 4.1 Daphne’s Diary’s individual magazines are delivered in almost all the countries worldwide. If the magazine does not arrive or arrives in a damaged condition, the consumer may send an email to shop@daphnesdiary.com. 4.2 Any failure to deliver within the delivery period does not entitle the consumer to claim damages, to terminate any agreement or to take any other measures against Daphne’s Diary, except in the event of wilful conduct or deliberate recklessness on the part of Daphne’s Diary or its management. – making relevant Daphne’s Diary offers. Daphne’s Diary is only liable for any damage suffered by the customer if this damage can be attributed to Daphne’s Diary or if Daphne’s Diary bears the risk of this damage pursuant to statutory provisions. Daphne’s Diary is not liable for any damage resulting from the customer’s use of an item supplied by Daphne’s Diary, unless Daphne’s Diary is liable on the basis of provisions on product liability within the meaning of Article 6:185 et seq. of the Dutch Civil Code. 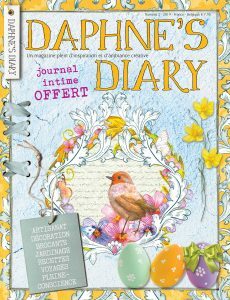 Daphne’s Diary is not liable for any damage if it is caused by non-performance resulting from force majeure. Force majeure exists if the non-performance is the result of circumstances beyond Daphne’s Diary’s control, including in any event: war or similar situations, riots, sabotage, boycott, strike, sit-in, blockade, sickness of Daphne’s Diary staff, failures by Daphne’s Diary’s suppliers and/or carriers, government measures (including measures taken by a foreign government) such as transport, import or manufacturing restrictions, natural disasters, bad weather conditions, lightning strikes, fire, explosion and emission of hazardous substances or gases. Nothing of the above applies in the event of wilful conduct and/or gross negligence on the part of Daphne’s Diary. Such wilful conduct or gross negligence on the part of Daphne’s Diary must be proven by the customer. Daphne’s Diary is not liable for any damage arising later than 3 months after delivery of the item that is not reported to Daphne’s Diary in writing within 14 days of its discovery. In the event that the damage arises at a later time, Daphne’s Diary will inform the customer upon request about any options for recovering the damage from the supplier. The customer is not permitted to set off any alleged claim for damages against any amount that the customer owes Daphne’s Diary. The product terms and conditions, including other prices, are subject to any evident misprints and typesetting errors.